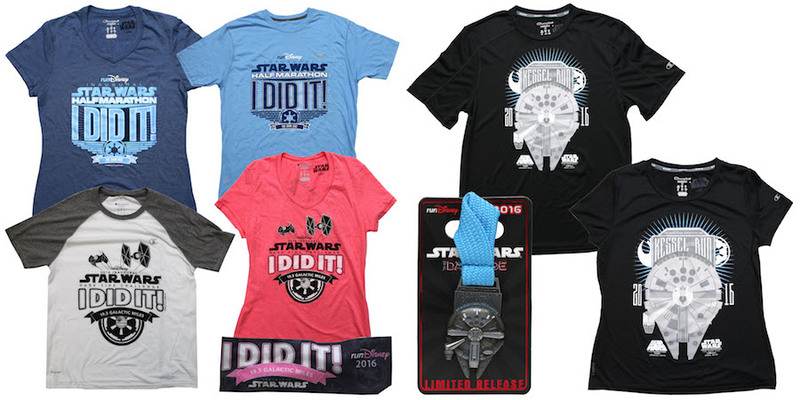 Disney has just released images for all of the commemorative merchandise items for the upcoming Star Wars Half Marathon in Walt Disney World. Disney Parks – April 1, 2016. Participants will find several different programs designed for the various races taking place throughout the weekend. There will be an overall Marathon Weekend logo program that includes a silhouette of Darth Vader and an image of a Stormtrooper running. This logo will be used on apparel, home goods and a commemorative banner. 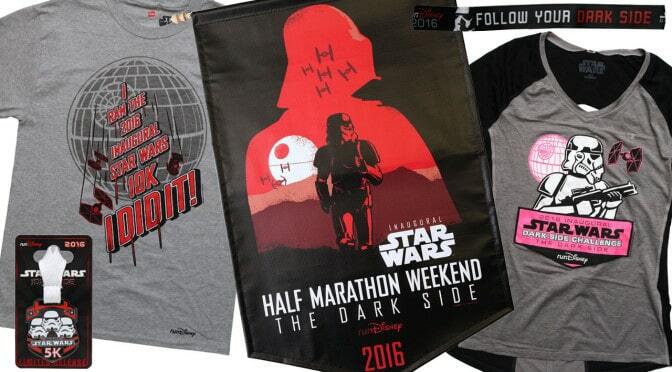 We will also have an assortment for those guests running in the Star Wars Half Marathon. I particularly like the tagline on the back of the jacket. Other items will include pins, car magnets, hats, and apparel for both women and men. 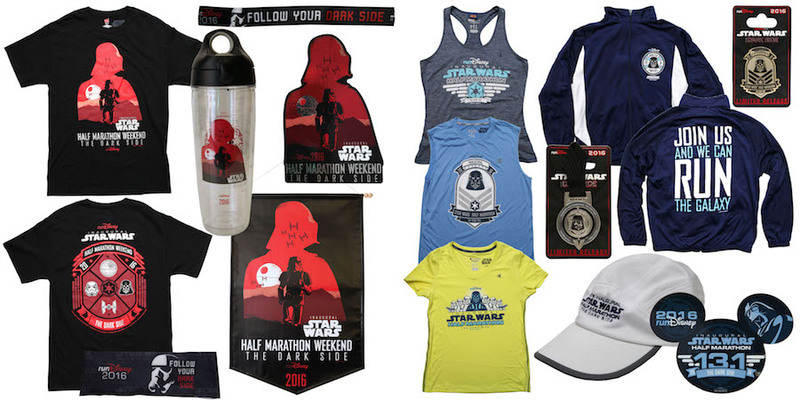 There will be an entire assortment similar to the Half Marathon product for those guests participating in the Star Wars Dark Side Challenge, the ultimate test combining the Star Wars 10K and Half Marathon. 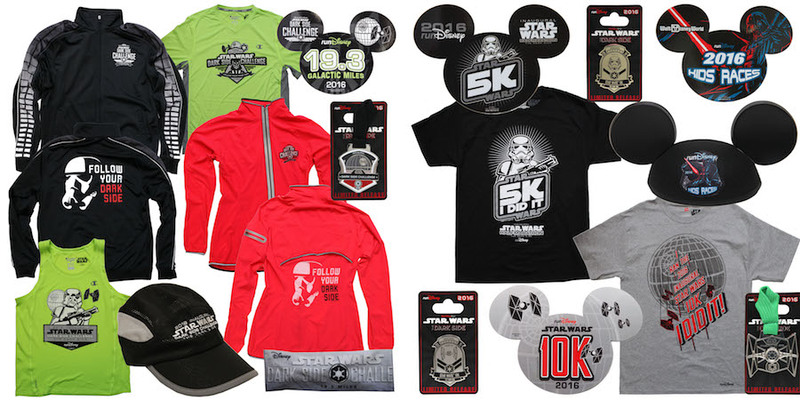 Guests should also look for smaller assortments created for the Star Wars 10K, Star Wars 5K and the runDisney Kids Races. In addition to shirts for the 5K and 10K races, “I Did It” shirts will be offered for the Half Marathon and Dark Side Challenge races. Two shirts and a limited release pin will celebrate those guests earning the Kessel Run Commemorative Medal. I love the Millennium Falcon-inspired design for these items. Finally, we’re releasing three new Dooney & Bourke handbags for this event. 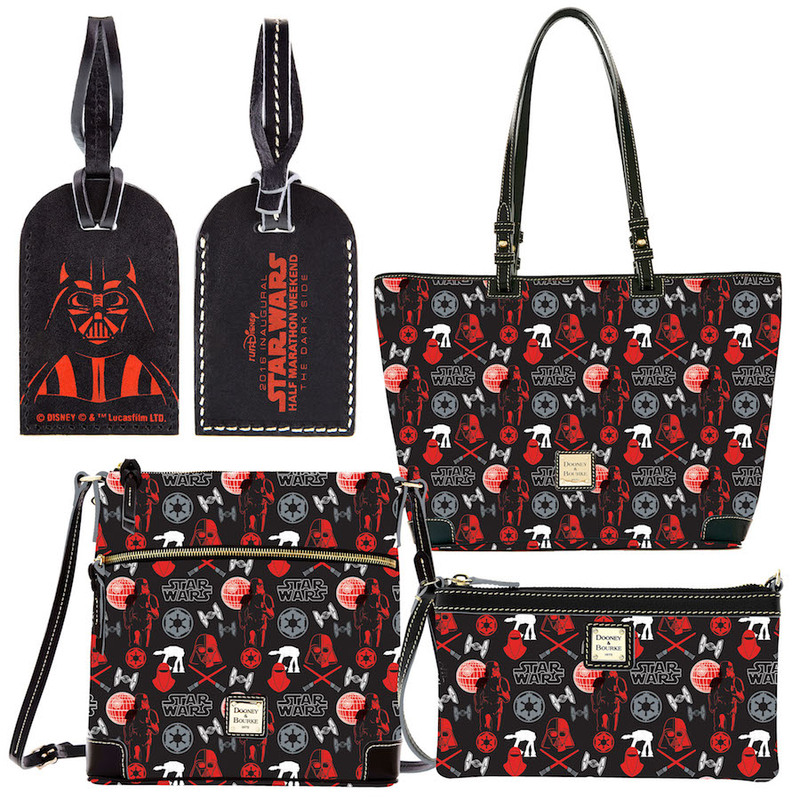 The tote and Crossbody bag will have a leather hang tag that includes the event logo and an image of Darth Vader. Thursday, April 14 – 10:00 a.m. – 7:00 p.m.
Friday, April 15 – 9:00 a.m. – 7:00 p.m.
Saturday, April 16 – 10:30 a.m. – 4:00 p.m.